Yes its that time again! If you only get to one show this year make it this one! The Chopper meeting area within Billing complex is Puddleduck Place. This area is fenced off for the Chopper & Muscle Bike event. PLEASE NOTE: IF YOU BOOK IN ADVANCE AND ASK FOR THE RALEIGH RATE YOU WILL RECEIVE A DISCOUNTED PRICE. Rally Rate - Pitches must be booked in advance, minimum of a 2 night booking to get the discount rally rate, this is applicable for up to 3 days. Billing are happy for people to arrive at the gate without booking but it will incur a 15% surcharge on the normal rates. They will not be able to get the rally rate without pre-booking. Any day visitors will be charged at £10 per vehicle at the gate if they quote the unique code for all daytime entry. all fees are Income to Billing. Booking Code is GSWMB11 all club members must quote this code to receive their discount. How to Book - Tel Billing on 01604 408181 press option 3 and our onsite bookings Team will take the bookings. Please click on the link below for the club message board. Use the board to ask as many questions as you wish. In addition to the Raleigh Chopper various other muscle bikes will be on show including some 1970's Swing bikes. 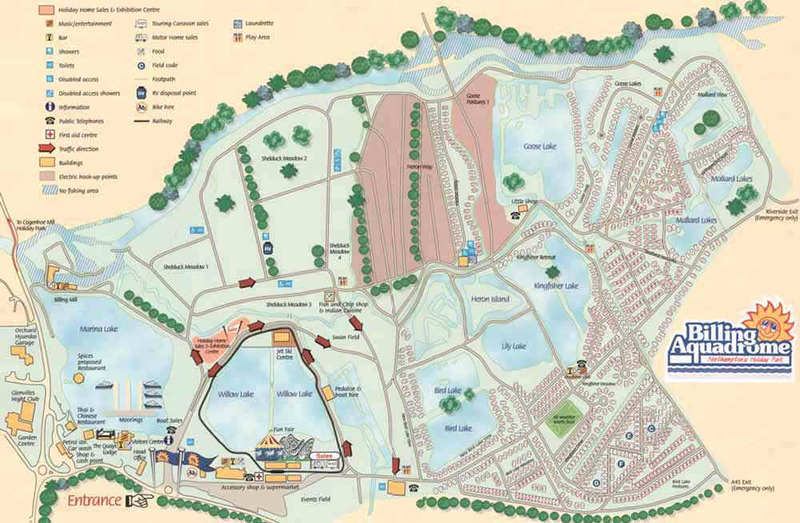 As the name suggests (Billing ‘Aquadrome’) the park does have lakes and water ways. People visiting with small children may want to be made aware of this fact, and take the necessary precautions to stop children going for a swim! It is also advisable to keep dogs on leads due to the amount of cyclists riding around the park. We recommend all cycles are locked when not in use. Billing also has strict rules regarding mini moto's they are not allowed within the park. Around the Chopper area there will be rubbish sacks attached to posts, please use these to avoid litter entering the water ways and to help the general area to stay nice and tidy, please note: under the new contract arrangements, RCOC is liable for all litter left after the weekend which is chargeable to the club! FIRST AID COVER FOR THE EVENT WILL BE PROVIDED BY RCOC. 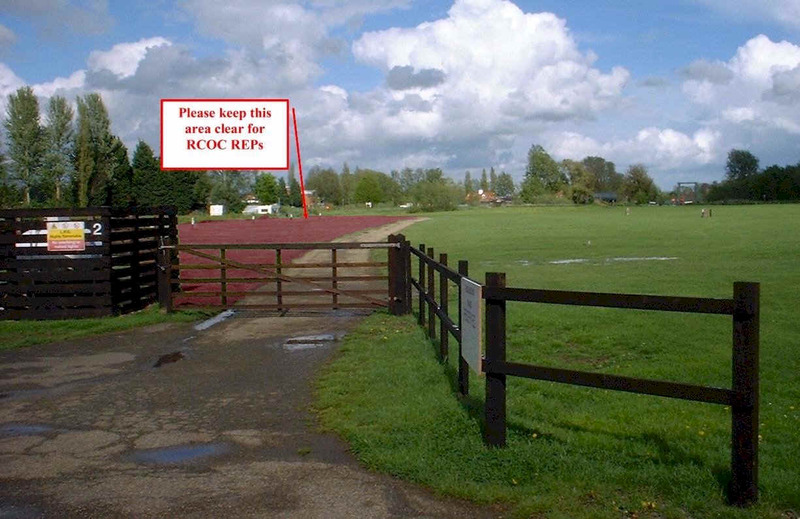 Please ensure the area below shown by a red arrow is kept clear for RCOC Reps and the Competition area. THE RESERVED AREA IS FROM THE GATE AT THE ENTRANCE (ON THE LEFT) TO THE FAR END GATE ALL SHOWN BELOW IN RED.